A lot of times, when I tell people I’m a Copywriter, they ask me how I managed to get a job like that without a law degree. I’m not even sure if a CopyRIGHTer is even a real job, but it’s certainly not anything I’m interested in! Anyway, though I typically find this legal stuff tedious, I came across a piece of social media news that caught my attention. Facebook recently won a patent for the concept of “tagging” in photos. The patent seems to be met with some controversy. Did Facebook really come up with the idea to “select a region in a piece of media (like a photo or video) and associate people or other entities with it,” and can you really patent something like that? Zuckerberg claims a resounding “yes,” stating that it was this feature that made Facebook crush sites like Flickr and Picasa in the online photo hosting game. 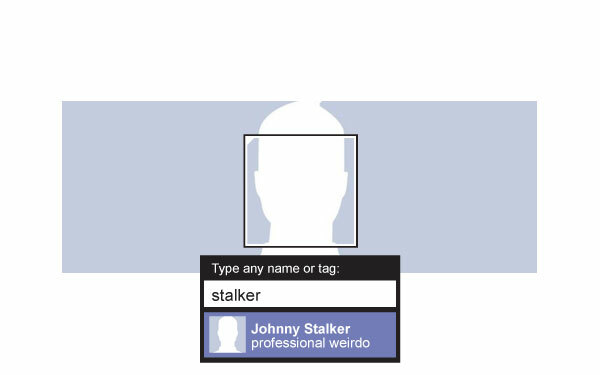 When you think about it, it makes a lot of sense — Facebook owns tagging, because Facebook owns stalking. When Facebook introduced tagging in photos, it allowed us to follow the links to a stranger’s profile page that we may have never found otherwise. It is what really allowed us to expand our view into the “friends of friends” network. So maybe it is stalking…but really, that’s what Facebook is all about! Learning what people we barely know are really like, thanks to information they’ve voluntarily provided on Facebook. There are tons of ways Facebook helps us do that now, but when tagging was launched, it gave us the most direct path to fulfill our curiosities about people we aren’t friends with. I’d like to see Flickr do that! I am not a “Copyrighter,” so maybe these thoughts don’t have anything to do with the real controversy over the patent. I just know that the original outcome of tagging on Facebook was totally different than the outcome of tagging anywhere else.